Description: Maj. Gen. Benjamin Butler was relieved of command of the Army of the James and assigned to lead an amphibious expedition against Fort Fisher, which protected Wilmington, the South’s last open seaport on the Atlantic coast. Learning that large numbers of Union troops had embarked from Hampton Roads on December 13, Lee dispatched Hoke’s Division to meet the expected attack on Fort Fisher. On December 24, the Union fleet under Rear Adm. David D. Porter arrived to begin shelling the fort. An infantry division disembarked from transports to test the fort’s defenses. 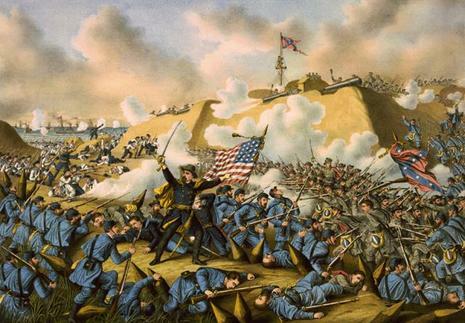 The Federal assault on the fort had already begun when Hoke approached, discouraging further Union attempts. Butler called off the expedition on December 27 and returned to Fort Monroe. 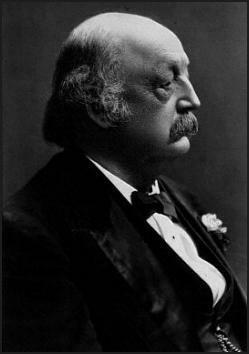 After the failed Bermuda Hundred Campaign, Major General Benjamin Butler and his Army of the James were assigned to an amphibious expedition against Fort Fisher. 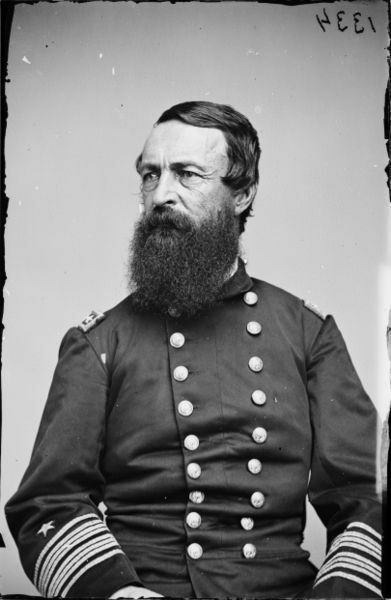 Lieutenant General Ulysses S. Grant had originally designated one of Butler's subordinates, Major General Godfrey Weitzel, to lead the expedition, but Butler, the senior major general of volunteers in the Army, demanded that he lead the troops himself and Grant acquiesced. Fort Fisher, on Confederate Point, nicknamed the "Gibraltar of the Confederacy", was a formidable target commanding the Cape Fear River. It encompassed 14,500 ft.² and was surrounded by a 10-foot parapet and a network of bombproofs, most of which were 30 feet high. Many obstructions were laid around it, including land mines (called torpedoes in this era), abatis, and deep ditches. 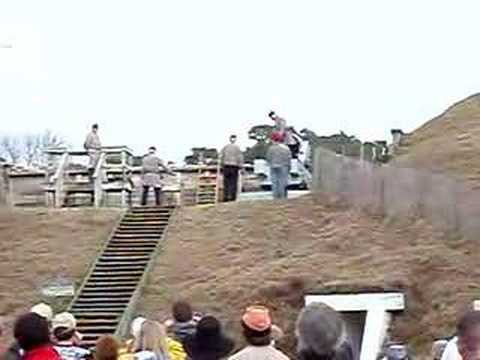 There were more than 50 heavy cannon, including 15 Columbiads and a 150-pounder Armstrong gun, behind a 60-foot mound of earth near the sea, named the Mound Battery. The fort's garrison of 1,400 men was commanded by Colonel William Lamb. 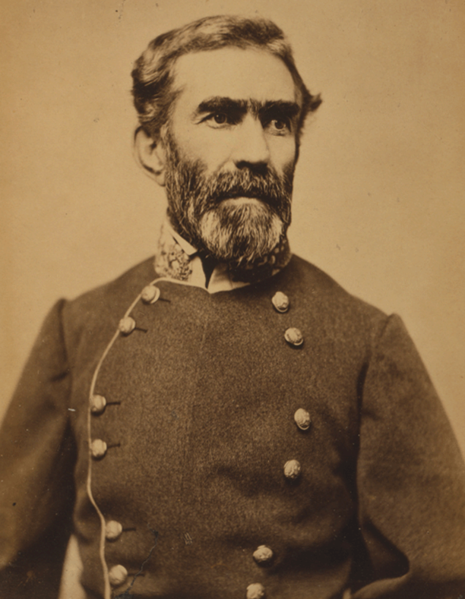 Additional reinforcements were available from General Braxton Bragg at Sugar Loaf, 4 miles away. The Union naval expedition under Rear Admiral David D. Porter comprised the largest fleet of the war, nearly 60 warships plus troop transports for 6,500 soldiers. Learning that the Union troops had embarked from Hampton Roads on December 13, Confederate General Robert E. Lee dispatched a division under Major General Robert F. Hoke to reinforce Lamb. Butler did not coordinate the timing with Porter adequately, so that when his troops departed reinforcements discouraged further Union attempts. Despite explicit orders from Grant that he was to besiege the fort if he could not seize it, Butler called off the expedition on December 27 and returned to Fort Monroe. The fiasco at Fort Fisher, specifically Butler's disobeyance of his direct orders—orders which Butler failed to communicate either to Porter or to Weitzel—gave Grant an excuse to relieve Butler, replacing him in command of the Army of the James by Major General Edward Ord. President Abraham Lincoln, recently reelected, no longer needed to keep the prominent Republican in the Army and he was relieved on January 8, 1865.